This was a lovely and quite gentle meditation on life by Anne Morrow Lindbergh who led an interesting life, with big highs and lows. She may have had a privileged life, but the points that she raises may resonate with most people on one level or another. This is also slightly dated (printed in 1955) in parts, but, again, there are some salient points that are still relevant for anyone who leads a busy life in the twenty-first century. 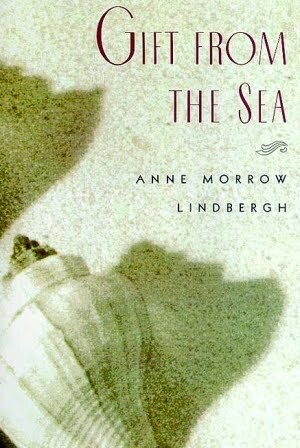 Using the narrative structure of an island holiday and the shells that Morrow Lindbergh picks up on the beach, the author mulls a treatise on the importance of being true to yourself – notable as the era when it was printed was all about being the Perfect Wife with the Perfect Life (cookie cutter time). The cynical side of me says that being true to yourself is easier when one is white, wealthy and healthy in the 1950’s, but we will continue… And you know, despite this, I really did enjoy this short book and what she writes. At this point in my life (being older), the suggestions that Morrow Lindbergh offers are not mind-blowingly new and original, but this is so well written that it is not that important. Sometimes you need to hear information several times before you learn it, right? So – basically a short read but one that caused me to slow down and contemplate things, and again, the book is so well written (no typos! No grammar problems!) that it was a pleasure to read. This is one of those books that I tend to keep on hand to give as gifts as I think there are points in there that could help almost everyone at one time or another. It’s short enough to not repel non-readers but with enough usable advice that it’s meaty enough for others. Good one. This entry was posted in Uncategorized and tagged American, domestic, gender roles, Non-fiction, women by lizipaulk. Bookmark the permalink. I love this book. Different chapters affect you differently at different times in your life. My favorite rereading of this book was on an actual beach. 🙂 Great post. Thanks a bunch. It’s been forever since I had last read it and you’re right – new points were more in focus this time around.